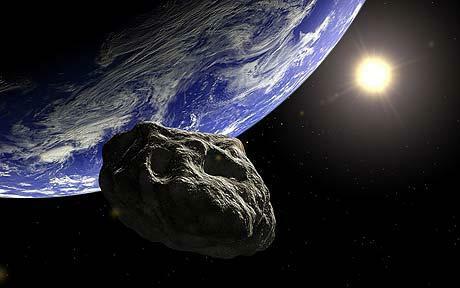 NASA has announced that the earth had its closest so far encounter to an asteroid this Monday afternoon. The experts estimated that the 2011 MD asteroid would be so close to our planet that its trajectory would be changed by Earth’s gravity force. NASA assured people they didn’t need to worry as it posed no danger. We just witnessed one of the rarest moments in the history of mankind and of our planet. NASA recently discovered an asteroid was expected to pass within 7,600 miles of Earth. The asteroid is between 16 and 60 feet wide and was first seen on Wednesday through a robotic telescope in Mexico, United States. The International Astronomical Union’s Minor Planet Center in Massachusetts released the news on Thursday. The first forecasts of the experts said that 2011 MD will be pass 100 miles closer to earth and 3 and a half hours sooner. The asteroid has been seen from South Africa, Antarctica, Southeast Asia, Eastern China, Japan, Australia, New Zealand and all Western Pacific. Minor Planet Center says that according to its charts, this is the fifth recorded asteroid that passed so close to our planet. The last one was sighted June 2, this year. It was 10 metre wide and passed between the moon and the earth. Another one was detected October 7 2008, a few hours before burning up in the atmosphere. The “2008 TC3” was best seen from Sudan. Other asteroids have been recorded in January 2009, May 2009 and September 2010.